Hero is well-spoken and thoughtful. I'm proud of his accomplishment. Anyone know what this magical medicine is? I'm curious how widespread its use is and what it actually does. I'm supposing it's something herbal. But this has been improving recently. Maybe it's because I've been taking 청심환 (korean) / 清心丸 (chinese) (T/N: I don't know how to translate this lol. It's a type of Korean/Chinese medicine which seems to have, amongst other effects, the effect of easing the mind. From a previous translated interview in GSL July, Top apparently thought he might have ate too many and as a result, felt "hazy" during his games lol. I'm so glad HerO has finally broken into Code S! He's had a great 2012 so far and he definitely deserves it. I can't wait to see what the rest of his year brings. Do not worry if you have built your castles in the air. They are where they should be. Now put the foundations under them. Q: You got promoted into Code S for the first time. How does it feel? A: I'm so happy I can't stop smiling. Yay HERO! I'm so happy for him, he's always had the skill he just has had nerves holding him back. But yeah being a Korean gamer is very imba. If you're a non-korean gamer you have to balance your game playing with earning money and your real life. If you're Korean you just sit around playing games all day eating 2 cent ramyun and becoming gosu. From what I've read, It supposed to help with anxiety and nervousness, but research shows it does nothing. However, I haven't looked very deep into it. I thought of the exact same thing haha. Anyways, thanks for the translations! I really enjoyed the HerO interview in particular being a big fan of him. Hahaha I didn't realise it when I was doing the translation. Interesting smile Hero has. As for people complaining about spoiling with the thread titles. Well, I'm not apologising for it. We'll see how things go. If you haven't seen this yet, I advise you go read it and learn how not to spoil yourself. Scroll down to "Spoiler Policy". Read. Benefit. Laughed really hard at Inca telling him to 4 gate. So happy Hero is in Code S.
I know the spoiler policy got changed for the front page but could we still title these threads Winner interviews rather then the players names? Ya I thought of that, but I ran into the problem of only being able to translate 2 out of the 4 winners. I don't want to disappoint anyone who would come in here looking for the interviews with the other 2 players which I wasn't able to translate. Anyway, there's only one more day of Code A left. Just put up with it? That's not really something I just want to put up with, I already need to avoid reddit until I've watched the VoDs I really don't want to have to avoid TL too. Cry me a river. There's an option to hide spoilers, so hide them if you're going to complain. 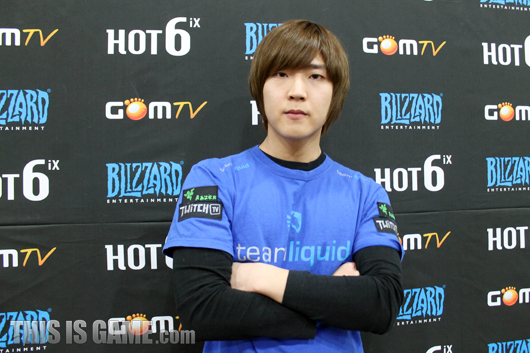 Jjakji going to tear up Code S again, you watch. http://www.youtube.com/user/sirmonkeh Zerg Live Casts and Commentary! We all know who the REAL baller is here.. INCA! GO INCA, YOU DA MAN!!!!! AH yes, the INCA rule. So happy for HerO, and ecstatic for Jjakji. I really think Jjakji and young players like him are the future of the game, and I'm really hoping that they can become the mainstays we need to create some star power. My name is Mike, and statistically, yours is not.